On November 4, 2011 students from the Chillicothe Middle School came to the Litton Agri-Science Learning Center to participate in the CMS Cares Days. CMS Cares Days originated several years ago by Nancy Elliott as a day of service for the community and an opportunity for student growth. All in all this is a very positive and productive day for everyone involved. This day allows students a taste of the satisfaction gained by helping others, which will hopefully relate to continued involvement in service projects. One of the most beneficial aspects of CMS Cares Days is that it provides the opportunity for students to work in collaboration with community businesses and organizations as well as alongside their parents and other adults. 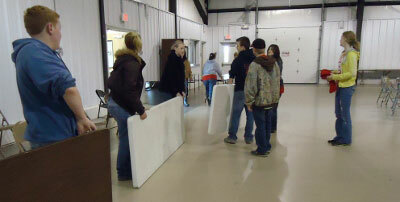 Students that participated at the CMS Cares Day at the Litton Agri-Science Learning Center in 2011 were Tristan Boley, Brittney Davis, Jacob Denton, Colton Hargrave, Mackenzie Mammen, Natalie Minnick, Rebecca Pitchford, Courtney Reger, Hannah Rooney, Colby Saville, Keri Rodenberg (CMS Teacher), Beverly Hargrave, (parent volunteer). These students conducted a variety of activities on this day such as taking out old flower beds, cleaning out a garage, taking down tables and chairs from a previous event, as well as a little fun. 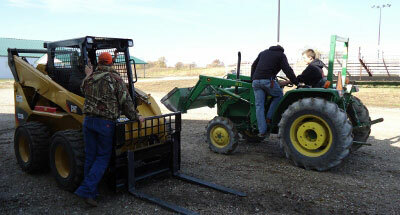 Students did have the opportunity to get a few lessons about driving the tractor and general farm work.